I am feeling like the luckiest girl in the world. Hard work pays off, good people karma, and all the trimmings. I took a trip to Virginia the week before last to visit the Sabra hummus factory, and chickpea farm. How super duper cool is that? This trip and the bloggers who get invited to be Sabra Tastemakers. The people at Sabra and Seymour Public Relations make this all possible and work so hard to make it a seamless experience from start to end. Not only did I get to visit the factory that is expanding and awesome, we visited the farms where chickpeas are grown. A funny story to stat this journey will give you an insight into my life, it’s a funny story. I’ll be honest, I get super motion sickness in all forms. I drive myself always, very few people can drive me. I fly a lot, I’ll get on boats reluctantly, to go snorkel the reefs ten miles off the coast. I get sick, every time. And typically on these types of trips a driver is arranged pick you up from the airport to drive you to your hotel. Then there is a big bus that drives all of the bloggers wherever they need to be. Most people on Earth love this type of catering, it is amazing to have a personal driver waiting for you with your name on a board, baller status for sure! I love it and it makes me super nervous at the same time. I chose to go with the flow and get on that bus with the other bloggers to be a part of the group instead of lets say, rent a car, and drive behind the bus. I actually do that normally. I didn’t, I got on the bus, I was fine. Until we hit the most horrible traffic Richmond, Virginia has ever seen. There was an oil truck turnover that spilled all over the freeway, no one was hurt fyi. Both sides of the freeway were closed for miles. All traffic was diverted to the only road that exists in town that gets you out of town towards the farm and factory. I wanted to die, I got so sick! It was horrible, and comical all in the same. I did it, I got on that bus, just to know, and did not conquer well. I put my best foot forward and got sick. I did not, however, throw up in front of anyone, which is super cool. They were gracious, kind, and understanding. It can be kind of embarrassing. You get so sick all you want to do is stop moving. That is not an option in many cases. We had work to do, and places to be. We met up with the team of people that are working on growing chickpeas for Sabra. The farm is located on plots of land that Virginia State University uses and managed by Dr. Bhardwaj. These amazing people are seriously passionate about what they do. 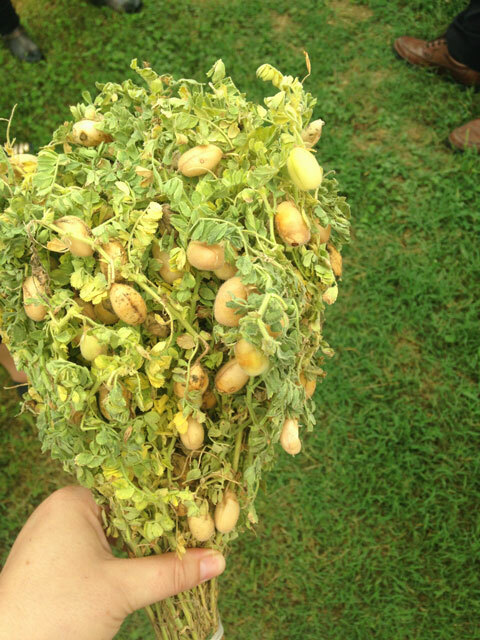 Although much of Sabras chickpeas as grown in the Pacific Northwest, they are working on growing different varieties in Virginia as well. Sabra likes to do what they can to grow what they need as close to the factory as possible, and if they can’t, they source it from the best place possible. Which ends in an amazing product. 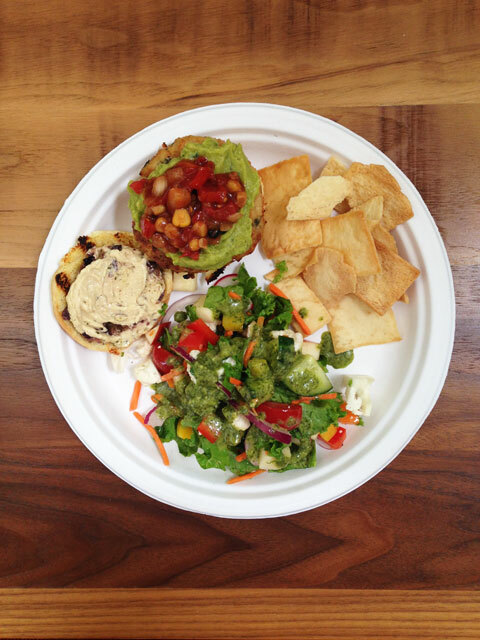 Did you know you can eat fresh chickpeas, blanched, in the shells? I have to admit, I did not know that. I will be doing that as soon as I get my hands on some. They are non GMO, pesticide free farming on all of the chickpeas. They work with different varieties that could work best for the Virginia environment, that is as far as they go in testing, they do not genetically modify to make it work. The agronomist that is working with Sabra is super passionate about hummus and chickpeas, as he from India, and has a connection to this product that is near and dear to his heart. That is why he works so hard to give Sabra the best farm products possible, it was so sweet to hear his story. He is the one who told us to eat the fresh chickpeas! I loved the experience we had at the farm. It was short lived, as the traffic took a lot of our time, so we had to adjust our schedule. I am happy to have experienced the land of the chickpeas at Virginia State University and the hard working, amazing people tending to the crop. Me and a bundle of chickpeas bouquet. I literally had just gotten off the bus. This is me motion sick, it took so much energy to smile! On to the factory we go! 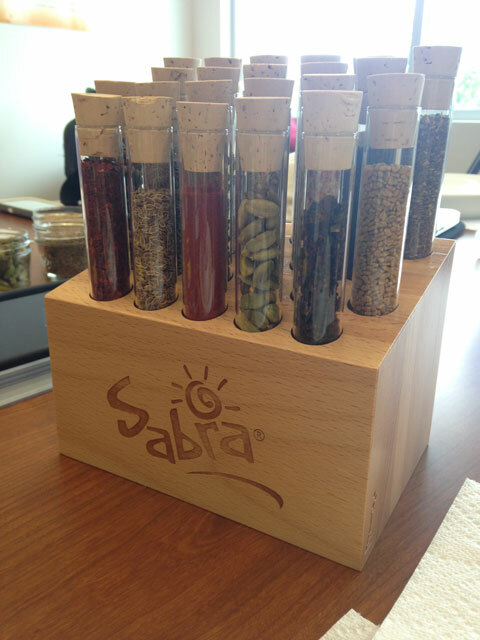 Sabra is expanding their facilities, and they are doing such an amazing job. First and foremost, the factory is LEED certified, which essentially means it is as “Green” as you could get, which is simply cool. Honestly, walking through this place, everyone was happy to be there. The foreman even has Sabra picture on his phone ok. That tells you he is happy. It was so nice to see a company that came from tiny roots to large scale that is green, happy, and takes care of its people. Sabra does this well, and on all levels. As you walk up you get the sense that they care. Everything is designed beautifully. 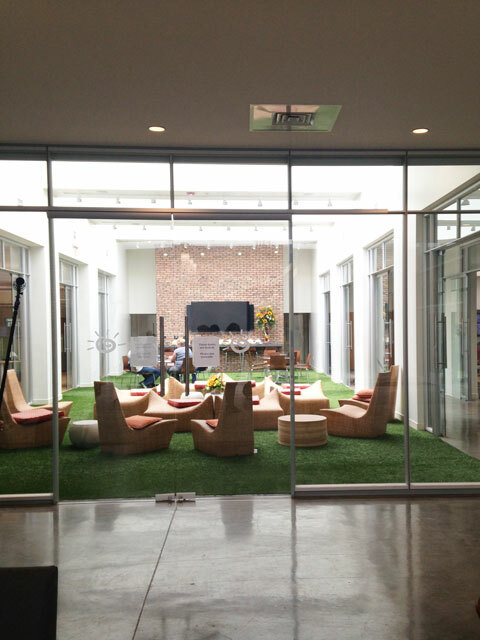 The photo below is the creative space, that is seriously where they meet to talk ideas. Oh and also stretch, meditate, relax, whatever you need to be productive, that is the space. They care, I respect that. 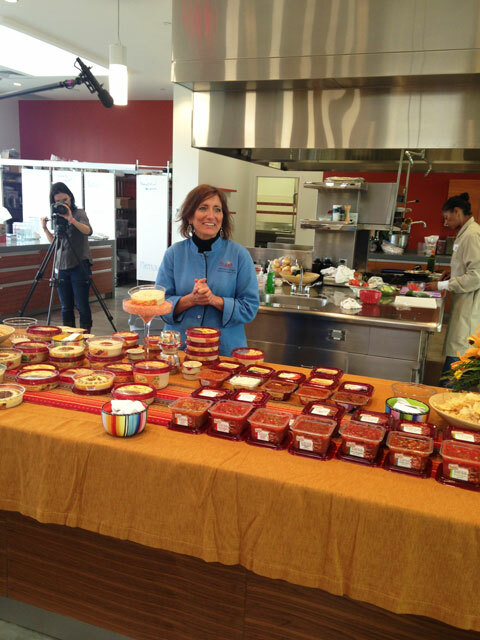 We met the top chef of Sabra, Chef Mary Dawn, she is legit. She know hummus like no other. Every morning she walks in, and opens the hummus made the day before for quality control. She checks the smell, visual swirl, scoops, looks at the air pockets for the right texture, and last tastes. She knows her hummus, it is so interesting. I had no idea the amount of care goes into every days batch of hummus. Super impressive, and again respectable. I’ll add now, I knew I was working with a good company, otherwise I would not be working with them. But what I saw and heard further confirmed the love and care that these people have for their product, and business. After the tour we sat to paint pottery and learn about spices from a fellow blogger, Heather from Farmgirl Gourmet, who also owns a spice company, Spiceologist. How pretty is the spice block below? That is a Spiceologist spice block with the Sabra logo etched into it! 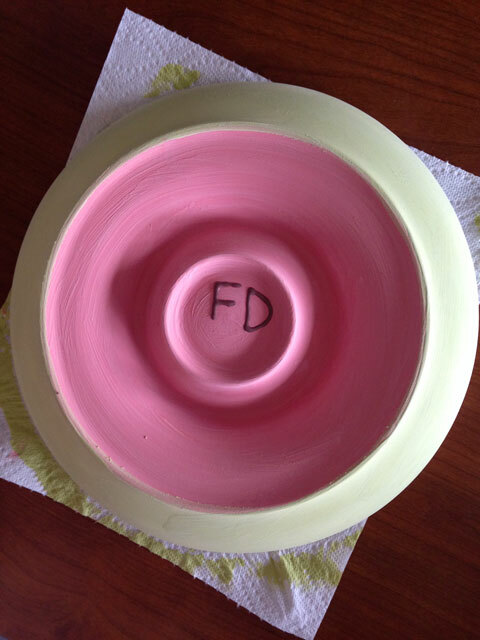 Yes, we get one and we get to keep our pottery we painted. That wrapped up this amazing trip, let me know if you have any questions about my trip. I’d love to hear from you! 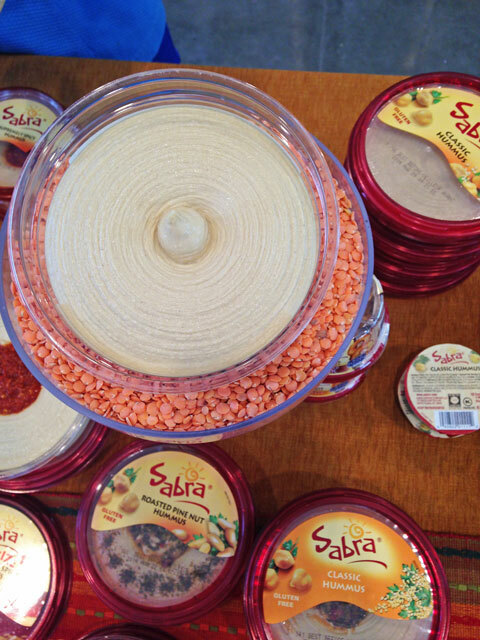 We spent the afternoon learning, eating, and talking about Sabra. Where and how it started, toured the facility where it is made, painted pottery and talked spices. It was the nicest factory experience I could have imagined. The original owner still visits, veto’s, and gives advice on the product and how they do things. They care. The factory workers were smiling, said hello when we walked by, waived at us, and kept on working. They are all happy to work there, they are proud to work there. It is a great company, with good values, and I am proud to be a part of the Sabra family as well. Thank you to Sabra, and Seymour Public Relations for bringing me into the family, I am proud to be a part of this group. Disclosure: While I was compensated for the trip, my time and other Sabra posts, this particular post is not sponsored or compensated. I really just wanted to share this amazing experience and company with you. I am the Health Specialist for the Virginia Preschool Initiative program and I am the coordinator of our health fair on 4/29/17. I would like to know if you would consider “bringing the farm’ to the inner city and sharing samples of your wonderful products with us as an exhibitor. Please contact me at (804)338-7204 at your earliest convenience. Thank you. Hi Michelle, I would absolutely love to, but I live in Washington. You can contact Sabra directly to participate.